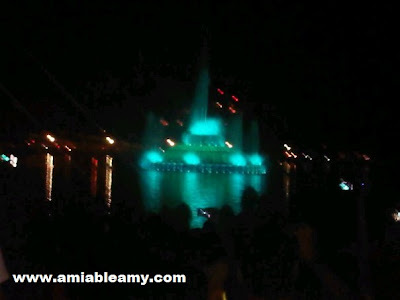 July 4th, hubby and I went to Downtown Orlando to witness the newly renovated Lake Eola fountain display. Before the fireworks kick off, the fountain was turned on for the first time that features patriotic water, light and sound. 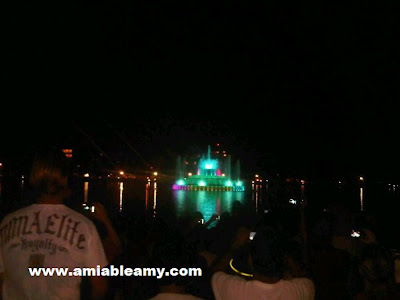 It started at 9:30 in the evening with thousands of Floridians, visitors and tourists witnessing the said spectacular display. We all chant the countdown from 10 seconds down to 0 and the patriotic music started to play. Then, the water started to sway and the light display it's changing colors and we all watched with amazement. Young and old gasping with so much admiration and awe! 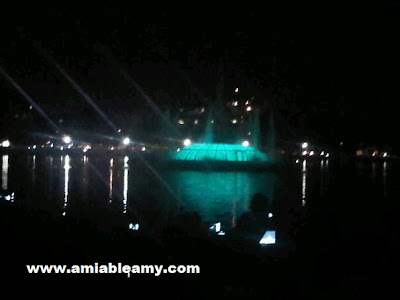 The lights in the surrounding area of Lake Eola was turned off giving emphasis on the Lake Eola Fountain. It was truly amazing and spectacular. The people living in this condominium building had the good spot to see this amazing activity! I would probably go back next year and witness the fireworks and fountain display! 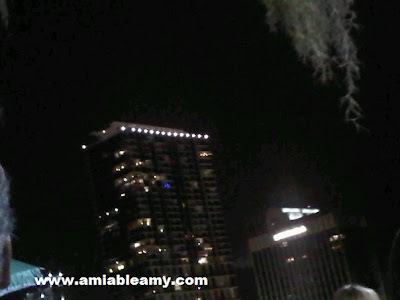 If you happen to pass by in Orlando next year, take time to be in Lake Eola Park. 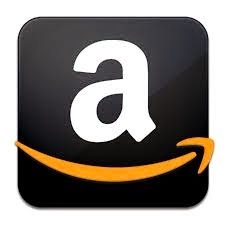 you will enjoy it!